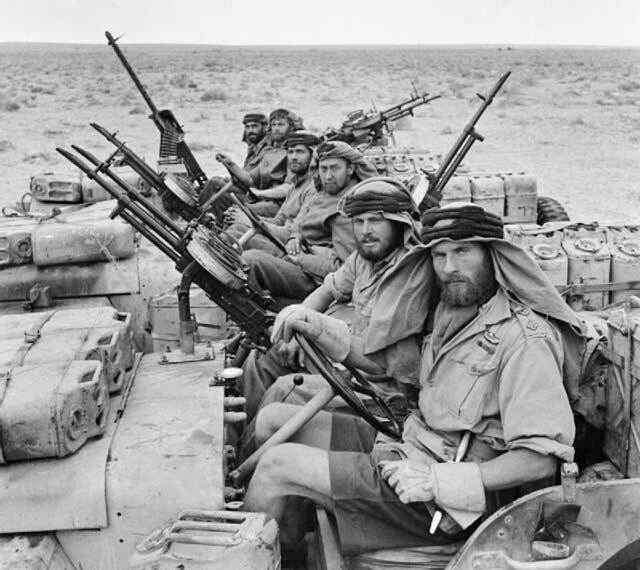 The British SAS was a thorn in the side of Axis forces in North Africa. A hardy bunch, their favorite tactic was long range raids in jeeps and trucks to airfield sites deep in enemy territory. Using a mix of armor piercing and incendiary rounds in the Vickers K guns, they tore up parked German and Italian aircraft in lightning raids. The Vickers K gun (also knows as the VGO or Vickers Gas Operated Gun) was a development of another country's design, much like the Bren, and also operated in a similiar fashion. Like the Bren, the K gun used a tilted locking breechblock, but unlike the Bren, it delayed locking till the last moment and with lighter moving parts could operated between 950 and 1,200 rounds per minute. The magazine used a drum, with the largest holding 300 rounds of British .303. The gun was originally developed for use in aircraft, but the drum caused problems with wing installations, and was usually used in dorsal or ventral gunners positions. Commandos really took to this gun, being able throw huge reams of lead at the bad guys was their stock in trade. Also mounts were developed for trucks and jeeps that were readily available, a favorite being the twin gun mount. The magazines for these land guns were a more modest 100 rounds, but like any magazine (even today) a few less rounds were loaded in the interests of reliability. The British Air Service (SAS) and the Long Range Desert Group (LRDG) acquired all of these guns that they could get. 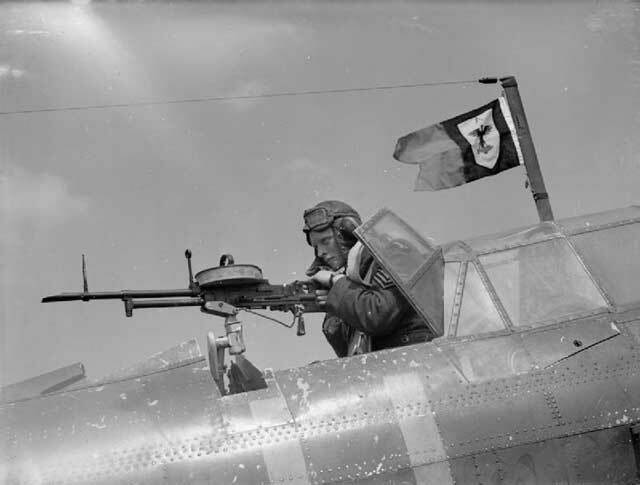 The only other choices in machine guns that were available to them were the water cooled Vickers (which means heavy, and bulky) and the Bren (small magazines). The Vickers K guns were recalled from service at the end of WW2, but it has been said that SAS units since then have dusted off a few K's for modern missions. You can buy reproduction Vickers K guns from WW2 Fabrications, including mounts and accessories for your WW2 Jeep! Just the thing for your WW2 Re-enactment team! The guns are non-firing, of course.